More than 260 golfers and 40 volunteers turned out for the 26th annual Friends of Saint Francis Benefit Golf Tournament on August 23 at Bent Creek Golf Course in Jackson. Funds raised support patients and their families at Saint Francis Medical Center. Proceeds from this year’s tournament will support the Family Room in the Level III Neonatal Intensive Care Unit as part of the Building on Excellence expansion and renovation project at Saint Francis. The Family Room will provide a comfortable space for siblings and parents to relax, away from clinical sights and sounds. This project is the latest in a long line of worthy Saint Francis beneficiaries over the past 10 years, including: Cancer Care Fund, Children’s Rooftop Garden, Parents With Hope, Continuing Care Clinic, Palliative Care and Fit Kids. The winners of the morning championship flight were John Hauck, Kevin Simmons, Drew Anthon and Bill Tegel. 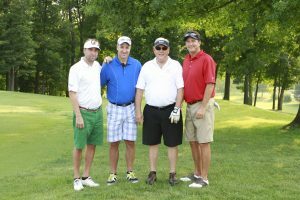 The winners of the morning championship flight were John Hauck, Kevin Simmons, Drew Anthon and Bill Tegel. Second place went to Dan Atkinson, Buzz Atkinson, Matt Hollis and Joe McLemore. Third place went to Harry Rediger, Jim Riley, Moe Sandfort and John Layton. The first-place team in morning flight A was made up of Josh Lee, Dave Rotolo, Kevin Mulcahy and Jason Harrell. Dan Newcomer, Mark Launius, Butch Newcomer and Bill Johns took second place. Third place went to R. David Crader, Kim Moore, Doug Hunt and Kirk Buxton. The first-place team in morning flight B included Phil Weber, Chris Kolb, Mike Carver and Meagan Matthias. Second place went to Dr. Joel Ray, Pat Ray, Janet Varnon and Tony Varnon. Third place was awarded to Jarett Stafford, Josh Sexton, Chris Pobst and Justin Barns. Fred Ducharme, Bard Womack, Austin Putty and Bill Tegel took the top spot in the afternoon championship flight. Fred Ducharme, Bard Womack, Austin Putty and Bill Tegel took the top spot in the afternoon championship flight. Second place went to Kody Campbell, Ian Soutar, Brevin Giebler and Ken Swinford. Steve Bjelich, Aaron Wright, Bryan Johnson and Greg Klund took third. The first-place team in afternoon flight A was made up of John Abercrombie, Danny Essner, Justin Keen and Ryan McClard. Chris Bowen, Drake Seabaugh, Jim Childress and Todd Bullington finished second. Third place was awarded to Bob Scheiber, Ryan Smith, Kevin Essner and Matt Beussink. 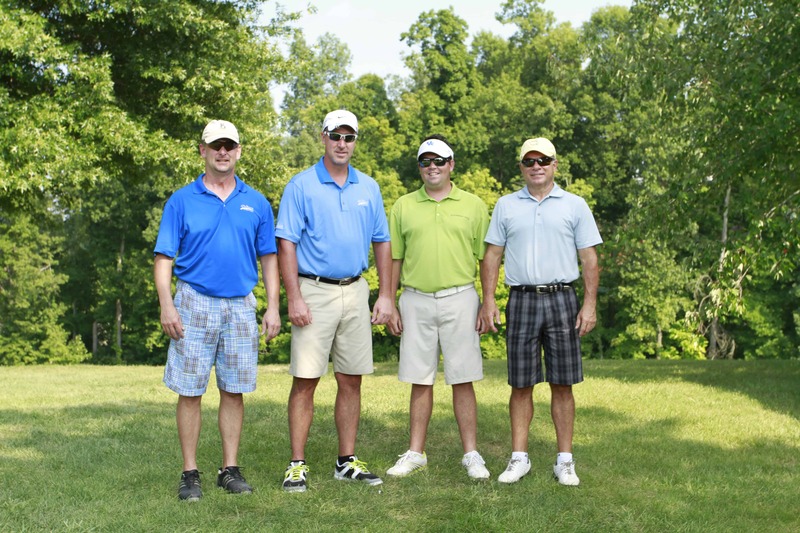 The first-place team in afternoon flight B included David Schnake, Tony Balsano, David Prather and Darrell Jones. Second place went to Terry Scholl, Rick Fehr, Tony Sweet and Robbie Eastman. Roger Tolliver, Leon Eftink, Tim Woodard and Jeff Hotop took third place. The Friends assists Saint Francis Foundation in providing services and financial assistance to the Medical Center. Formally organized in 1975, The Friends offers unique fundraising events that have enabled it to donate more than $2.5 million in support of the Medical Center. The Friends Board is composed of people from the community and employees who are committed to serving the Medical Center in an active way.